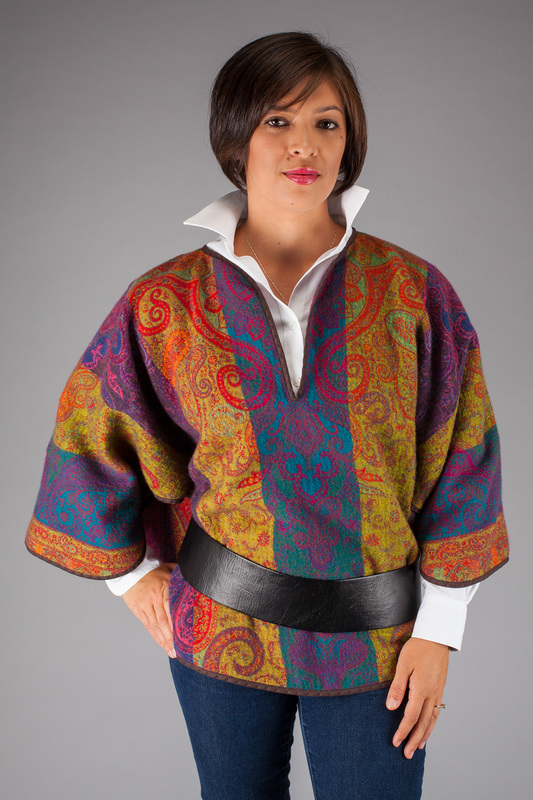 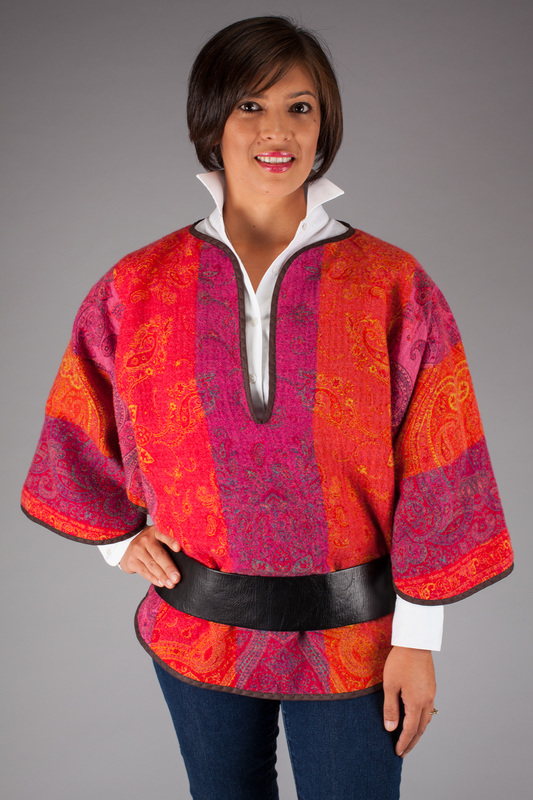 This cape style jacket is fun for all ages. 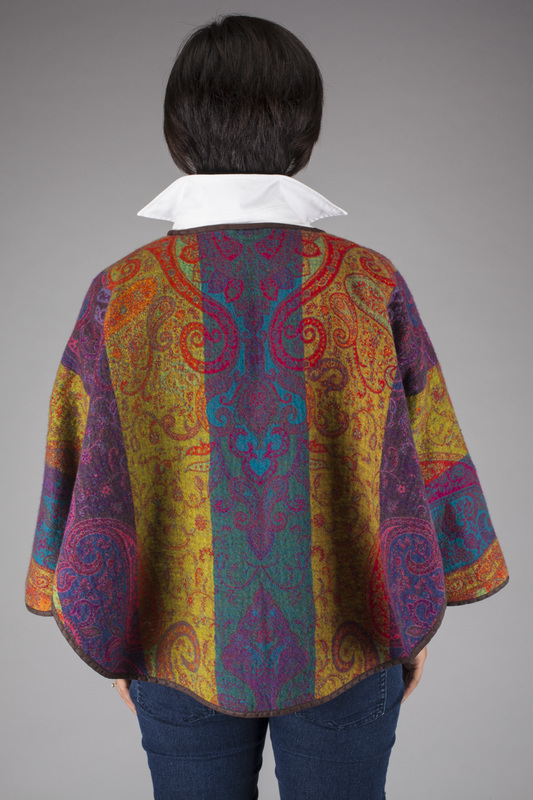 These wool jackets are reversible, lightweight and stylish on any occasion. 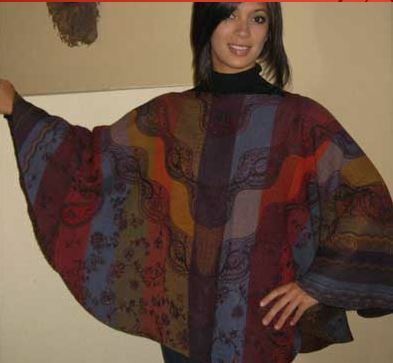 They’ll help keep you warm during the winter or compliment any season’s attire. This jacket can easily become its own unique outfit with a Turtle neck sweeter and a cute belt jacket travels well. 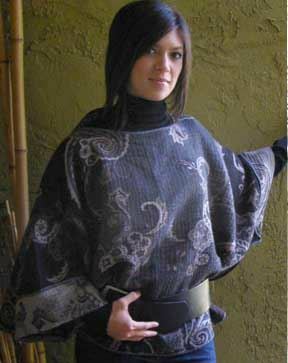 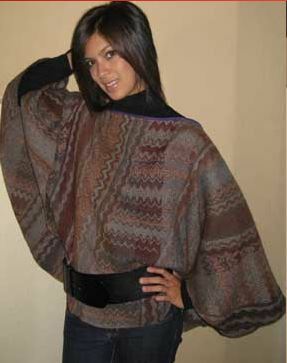 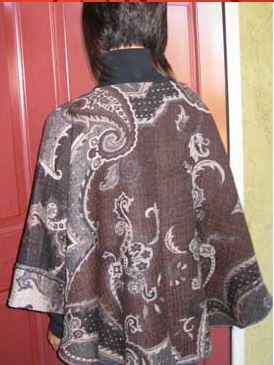 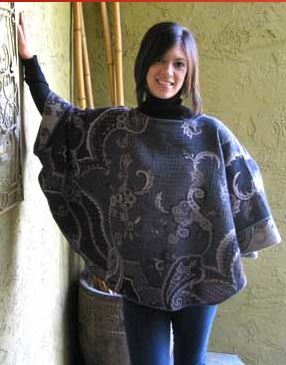 The Kimono Cape is beautifully hand crafted and hand washable only.